This casino is open every day of the week within a historic place built in 1905. Numerous traditional games as well as 500 slot machines are at your disposal. In the gaming room you could find the Restaurant Food Corner Gio Ponti, on the roof, the restaurant Roof Garden and on the last floor, the Restaurant Biribissi. Three bars are located in the fruit machines room of the Casino Municipale di Sanremo. A suitable clothing and a valid ID are required at the entrance of the Casino Municipale di Sanremo. Nicknamed City of flowers, Sanremo is an Italian floral paradise. You will be impressed by the front of imposing monuments such as the Santo Stefano Church, The Russian Orthodox Church or even the Devachan Castle and the Place of Bellevue. 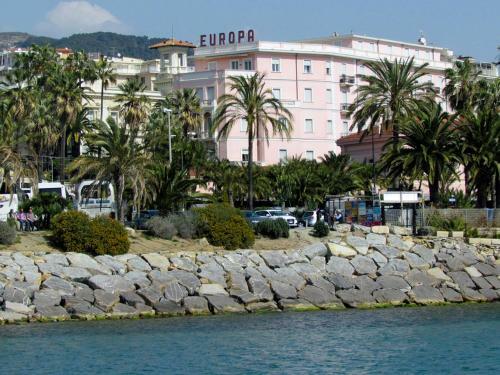 With its beach, its port and casino, the charm of Sanremo is also expressed through its bars, restaurants and pizzerias abounding of local specialties. The city welcomes every year artistic events, as well as sportive and cultural events, beginning with the Festival of Italian Song in March. Probably the most famous building in Sanremo, and rightfully so. Magnificant sight to behold. A must-see.